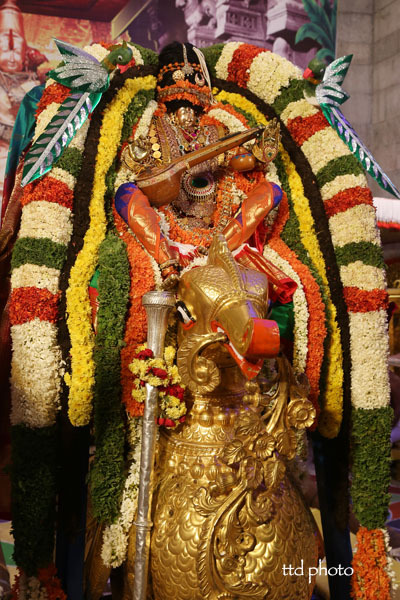 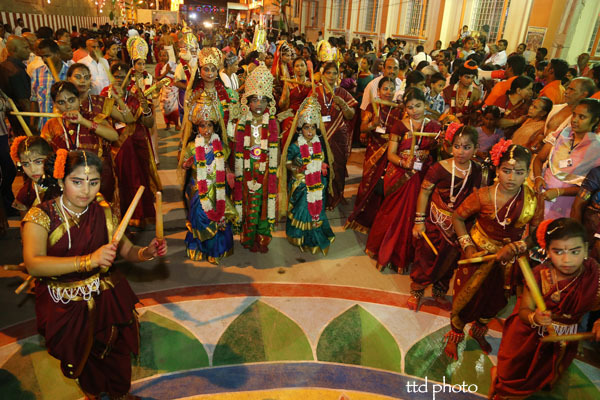 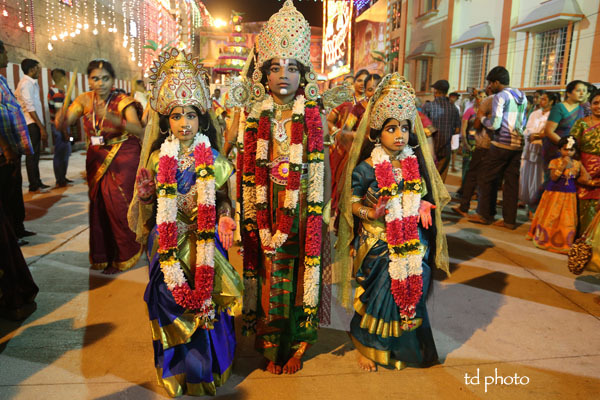 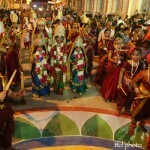 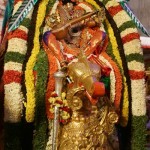 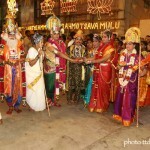 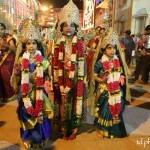 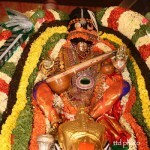 Tiruchanur, Nov 30: The Goddess Padmavathi, who is considered to be Goddess of Goddesses, graces the pilgrims in the form of Trinity-Goddess Sri Laxmi-the Goddess of Wealth, Goddess Saraswathi-the Goddess of Wisdom and Goddess Parvathi-the Goddess of power. 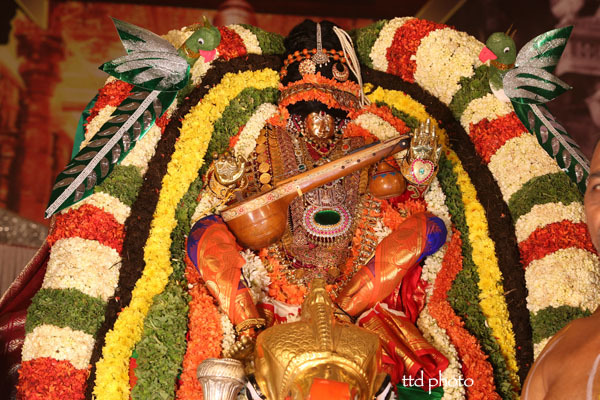 Hamsa-the Divine Swan, is not only the favourite ride of Goddess Saraswathi but also the symbol of Love, Wisdom and Purity. 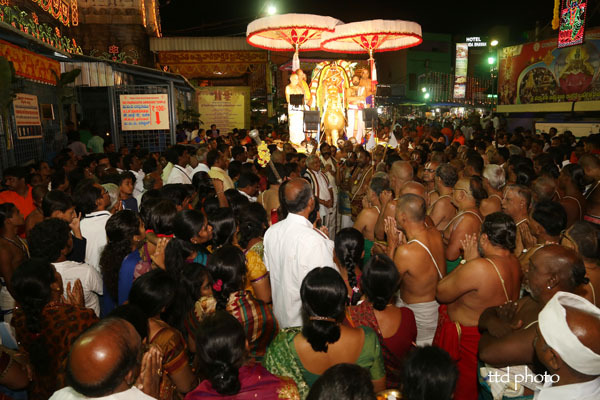 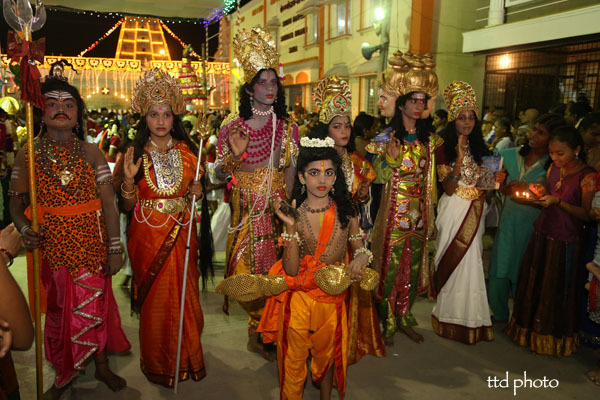 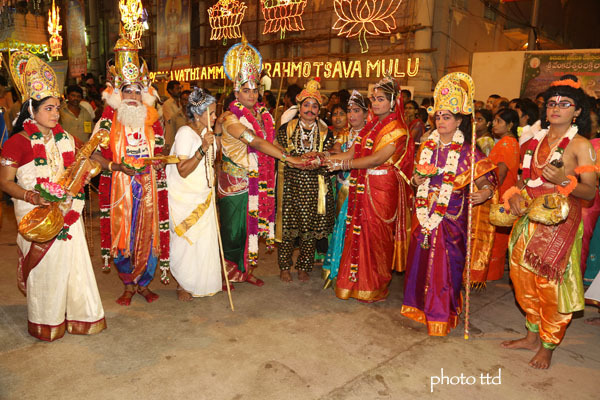 The Goddess Padmavathi is taken for a celestial ride on the Hamsa Vahanam, on Saturday evening, the second day of the ongoing Brahmotavams between 8pm to 10pm. 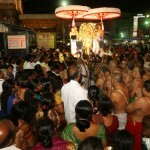 The pilgrims believe that the very sight of the Divine Mother on the procession of Divine Swan will enlighten the wisdom. 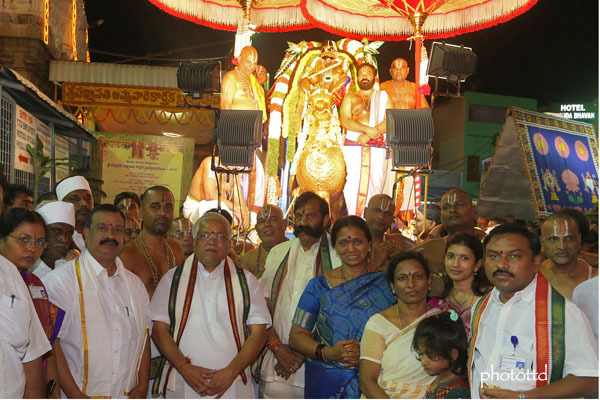 TTD Chairman Sri K.Bapi Raju, Executive Officer, Sri MG Gopal, Joint Executive Officer Sri Pola Bhaskar, DyEO(PAT) Sri Bhaskar Reddy, AEO Smt. 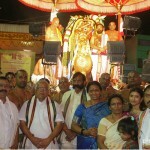 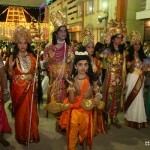 Nagarathana, Supdt Engineer Sri Ramachandra Reddy, VGO Sri Hanumanthu, Temple staff and devotees took part.